Ericsson MediaFirst Video Processing Packaging is a powerful solution designed for the distribution, personalization and monetization of multiscreen video services. With MediaFirst Video Processing Packaging it is possible to expand revenue opportunities by creating new TV Anytime services. 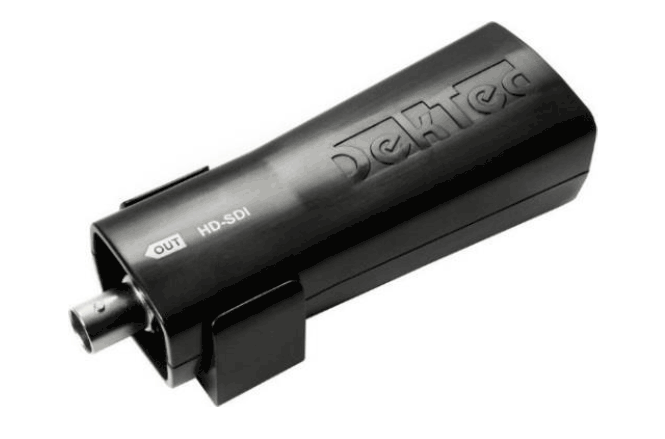 DekTec has released and is shipping the DTA-2115B, its highest-end test modulator for satellite, terrestrial and cable modulation standards. 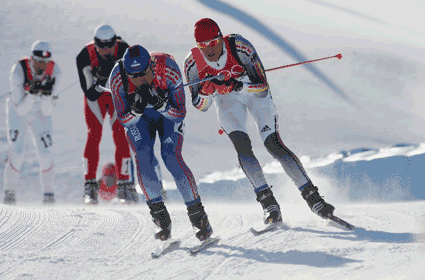 The latest standards, including DVB-T2, DVB-S2(X) and ATSC 3.0, are fully supported. The card houses a high-quality oscillator with exceptionally low phase noise. Modulation and upconversion is done all-digital, resulting in excellent signal quality over VHF, UHF and L band. 1-pps and 10-MHz inputs for GPS clock synchronization. 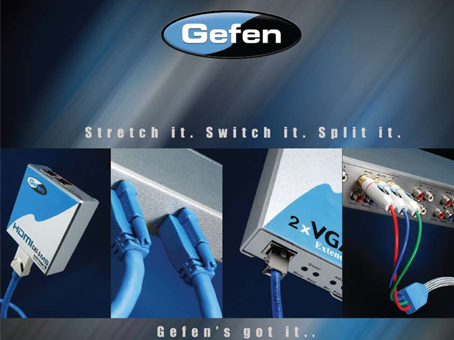 This enables operation of the DTA-2115B in a Single Frequency Network (SFN); It also allows synchronizing multiple modulator cards to each other accurately, e.g. for experiments with SFN or MIMO. Phase noise emulation. The phase of the local oscillator that generates the carrier frequency can be modulated with a digital signal supplied over the PCIe bus. 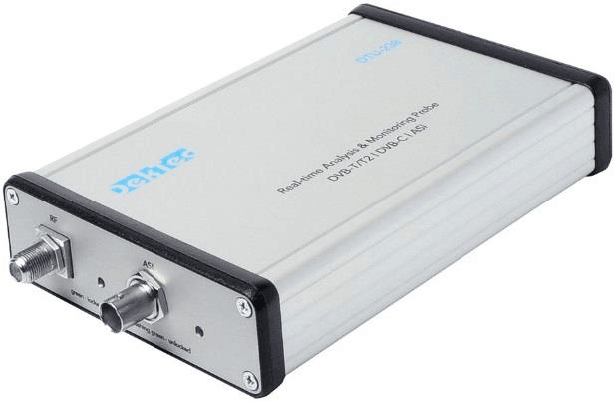 This enables the injection of user-defined phase noise, for example to validate or experiment with the locking behaviour of receivers. 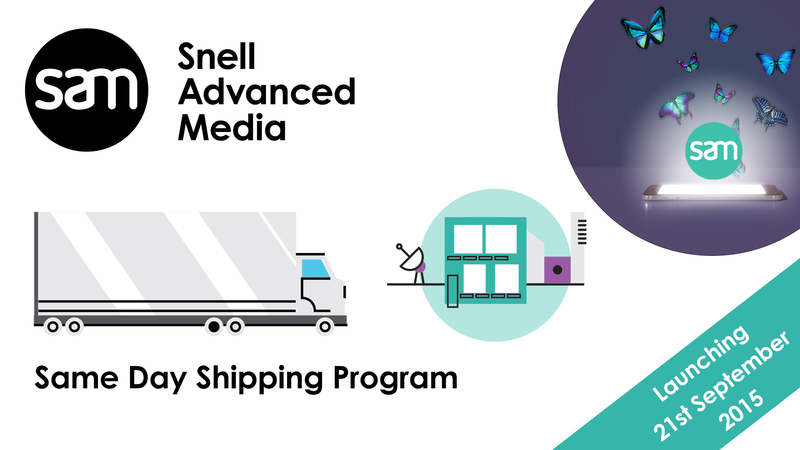 Snell Advanced Media is pleased to announce the new Same Day shipping program that provides shipment of a wide variety of products within 24 hours after receipt of your order. Ask for the product list! The DTU-238 is a new addition to the line of portable units for RF analysis and monitoring of terrestrial (DVB-T2/T, ISDB-T) and cable (DVB-C2/C) signals. DataMiner 8.5 brings again a wealth of features and enhancements across all existing software modules, making the solution even more intuitive and more powerful. 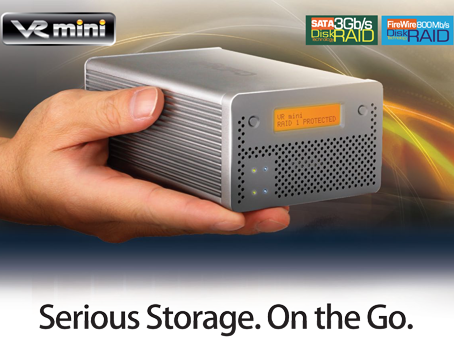 But DataMiner 8.5 also introduces some significant new innovative capabilities. 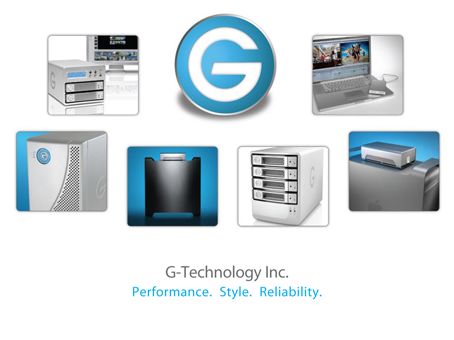 It is one of the most versatile platforms, proven in superior management for studios, playout facilities, satellite and terrestrial contribution platforms, VSAT and IP trunking systems, IP networks, VOD platforms, ad-insertion systems, digital video head ends, outdoor networks, backbones, terrestrial transmitter networks, SNG fleets, and much more. Embratel's Video Solution project has been delivered by Net Insight and NEC together as a team, offering global media transport experiences and local advanced telecom support. 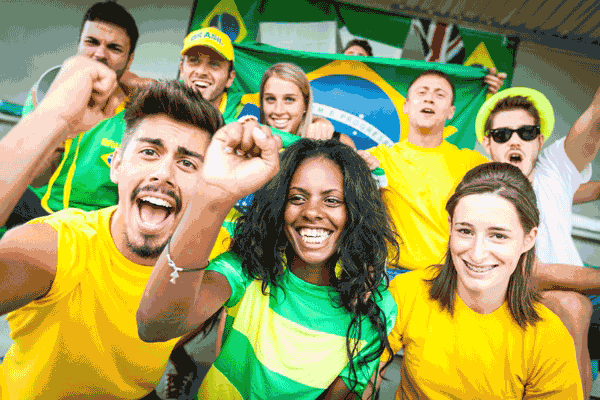 When Major Service providers and Broadcasters require best picture quality for their viewers, they rely on Net Insight's technology for the video transport during the 17 day long event. DekTec DTU-351 ready to ship! 26.11.2013: DTU-351 - HD-SDI Input for USB-3 is now released! The DTU 351 is an attractively priced USB-3 device for getting HD-SDI signals into a laptop, tablet or PC. The unit is bus-powered, so no power supply is required. Full SDI frames are transfered so that applications have access to 16 audio channels and all other HANC and VANC packets. 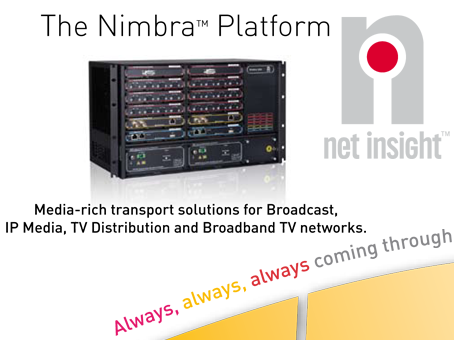 The Nimbra VA 210 is a video appliance featuring unique mechanisms for robust live media transport over IP. By combining re-transmission with forward error correction (FEC), Nimbra VA 210 maintains the integrity of the media stream, regardless of the underlying IP infrastructure. 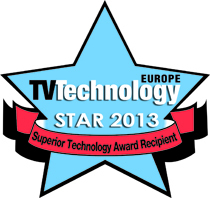 Bridge Technologies' new VB288 Content Extraction System was the recipient of a 2013 STAR (Superior Technology Award Recipient) Award given by the editorial staff of TV Technology Europe magazine at IBC 2013. 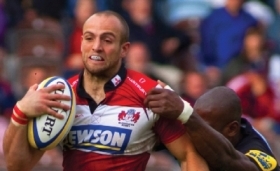 Live rugby match between Saracens and Gloucester, being played in London, will become the first ever live 4K transmissions. Bridge Technologies has launched a new version of its OTT Engine featuring the industry’s first implementation of full MPEG-DASH monitoring. 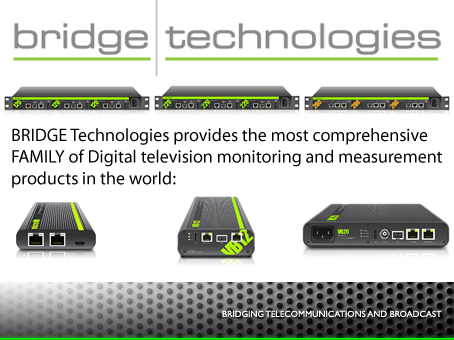 The new OTT Engine makes MPEG-DASH support a core part of of the user’s OTT monitoring capability, is compatible with all Bridge Technologies 1G and 10G probes, and is embedded within the iOS and Android PocketProbe mobile monitoring apps. Barnfind Technologies, a recently launched company established to bring a multi-functional, signal neutral transport platform to all segments of the broadcast industry, has announced plans to introduce the European market to its product portfolio at IBC 2013. Wiggo Evensen, CEO, made the Company’s exhibition plans public from the Company’s new, expanded headquarters in Sandefjord, Norway. In November and December 2012, Newtec polled the satellite industry in an extensive online survey to gauge the temperature on S2 Extensions. In total, over 700 respondents from +400 companies worldwide participated in the survey. Envivio 4Caster™ G4 is a 2-RU high performance computing appliance for broadcast and multi-screen video processing that takes advantage of the latest Intel processor enhancements to significantly increase density, speed and performance while lowering CAPEX/OPEX for operators. Combined with Envivio Muse™ Live and On-Demand, 4Caster G4 can transcode up to 72 high quality SD or 12 HD channels, with the potential for future density improvements through software update. Envivio Muse on the 4Caster platform supports a broad range of functions including encoding, transcoding, packaging, encryption and publishing in a single system. 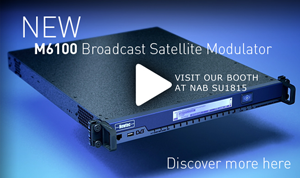 At NAB 2012 Newtec launched the new M6100 Broadcast Satellite Modulator. When designing the M6100, we only had one goal in mind: to develop the most efficient, most scalable and most advanced broadcast modulator. This platform will take a vital role in your network, perform above expectations and help you to evolve towards tomorrow’s technology. The Newtec M6100 Broadcast Satellite Modulator is the new generation DVB-S2, DVB-DSNG and DVB-S modulator specifically designed for broadcast direct-to-home, primary distribution and TV and radio content contribution. 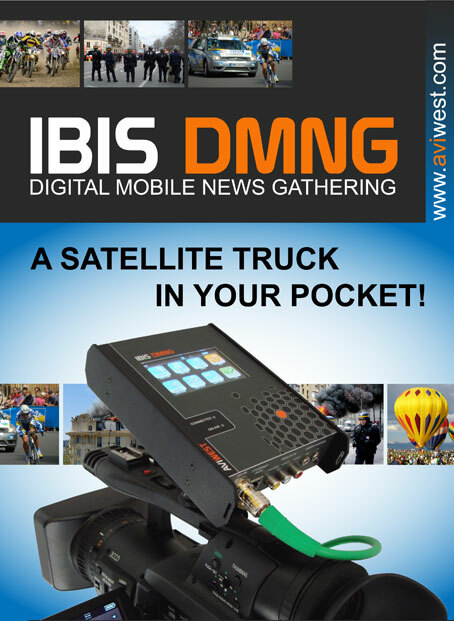 IBIS DMNG is a patented revolutionary light, portable and cost effective DMNG© (Digital Mobile NewsGathering) wireless camera system designed by AVIWEST for the broadcasters, the content producers and the TV stations allowing them to produce professional live video contents from remote places the more easy and flexible way. 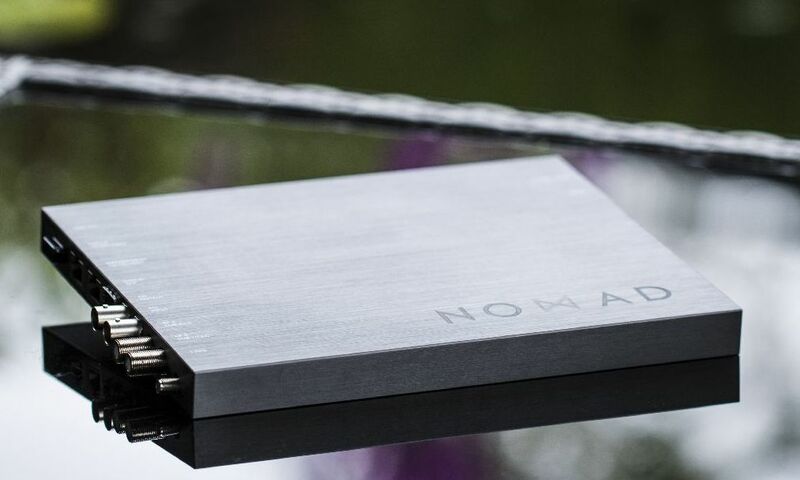 The concept of this new system is based on the use of simple and cost effective 3G, 3G+ or Wi-Fi connections that replace the complex, heavy and costly satellite contribution based DSNG infrastructures. 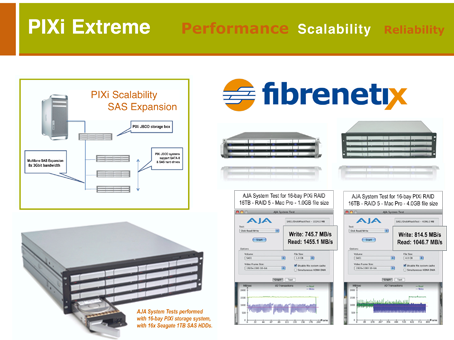 Net Insight - Media Transport Solutions with 100% QoS GUARANTEED! Net Insight delivers the world's most efficient media transport solution for Broadcast, Media, Digital Terrestial TV, Mobile TV, IPTV and CATV with 100% QoS. GUARANTEED! 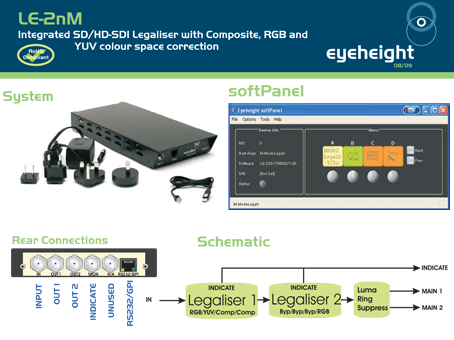 The LE-2nM is a fully comprehensive SD/HD-SDI legaliser housing in a simple enclosure and controllable by either a Java "soft panel" (Supplied) or a 1RU FP-9 Flexi Panel (not supplied). This system legalises the incoming signal in the colour space that the user selects, RGB,YUV, composite (PALor NTSC) or RGB+ composite combined. The unit also provides “clobbeRing”, luma overshoot and undershoot suppression, and also gain, lift and hue controls. All common legalisation standards can be corrected. The LE-2nM also has an indicate output which will show the user where, on the picture, any correction of the signal is being carried out. Monitoring und Messgeräte für Digital Television, die Gegenwart und Zukunft des modernen Fernsehens. Durch eine Auswahl sowohl an stationären wie auch portablen Geräten finden garantiert auch Sie das passende Produkt für Ihre Anwendung.